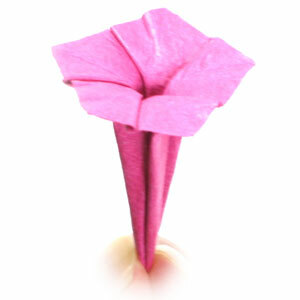 This page is for those who want the instruction to fold an origami flower, mirabilis jalapa. This flower is also called as Four o' clock flower, Marvel of Peru, or Morning Rose. 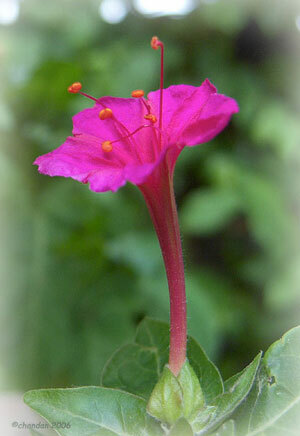 The origami mirabilis-jalapa (or Four o' clock flower, Marvel of Peru) is five petals flower. The distinctive feature of this flower is it has a very long neck. Before working on this model, you need to know what valley-fold and mountain-fold are. If you know these two folding techniques, then you will have no problem in making origami example. 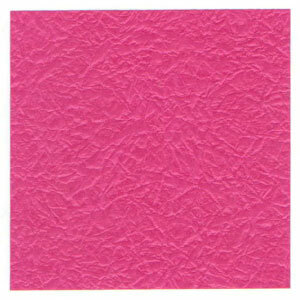 You may use any kind of paper to fold this origami mirabilis-jalapa. 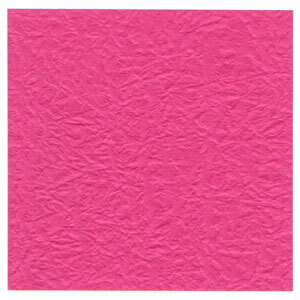 Since the real mirabilis-jalapa is small flower, I started with a 10cm x 10cm square paper. But if you are a novice, I recommend you to start with a larger size paper and if you become comfortable with folding this flower, then you can try a smaller size paper. 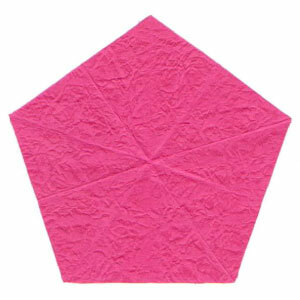 There is an instruction to learn how to make a regular pentagon out of a square paper.